Some lawmakers are looking to the new Congress to pass legislation to ease the firing of federal employees, with hopes the Republican-controlled Senate will be friendlier to the idea. Rep. Tim Walberg, R-Mich., in July introduced a bill to mitigate the hurdles in firing and suspending senior executives at federal agencies. The Senior Executive Service Accountability Act cleared the House in September. Despite receiving no resistance in the lower chamber, the Senate has yet to take up the bill. A spokeswoman for Walberg told Government Executive it is unlikely the Senate will move on the bill before the new session begins in January. Walberg plans to start from scratch next year, however, and expects future Majority Leader Mitch McConnell, R-Ky., to bring it up for a vote after the House once again passes the measure. The bill, as currently written, would allow agencies to suspend SES employees for 14 days or less without pay, require the executives to pay back any paid leave used during investigations if they result in a guilty verdict, increase the SES probationary period to two years and expand the definition of fireable offenses. The likeliest candidate to replace Rep. Darrell Issa, R-Calif., as the chief overseer of the federal workforce, has ideas of his own to hold malfeasant federal employees accountable. 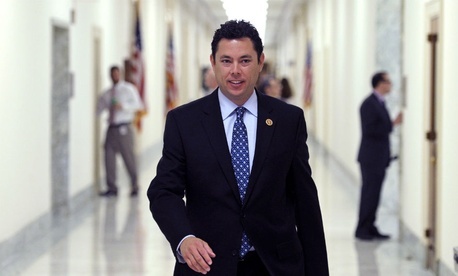 In each of the last two sessions of Congress, Rep. Jason Chaffetz, R-Utah, has introduced legislation to require federal agencies to fire any employees delinquent on tax debts. M.J. Henshaw, a spokeswoman for Chaffetz, said the legislator will “definitely” prioritize the bill again next year. The most recent data from the Internal Revenue Service showed about 116,000 federal employees had unpaid tax bills, meaning Chaffetz’s bill would terminate nearly 4 percent of the workforce. The House voted down the legislation in 2013, after the previous Congress had approved it. However, from Chaffetz’s potential new perch atop the House Oversight and Government Reform Committee, he could use his influence to finally send the bill to the White House. In another measure amied at holding federal employees to higher standards, Rep. Mark Meadows, R-N.C., has introduced the Federal Records Accountability Act, which would force agencies to fire any employee found guilty of manipulating or destroying a federal record. While the measure faces an uncertain future, it cleared the House in September. A Meadows spokeswoman said the lawmaker is still hopeful the bill can pass during the lame duck session of Congress, and did not comment on what might happen if it does not. Any of these bills would likely require 60 votes for passage in the Senate, but Republicans would need only about a half dozen Democratic supporters, so long as the GOP caucus stays united. President Obama, of course, would also have to sign the bill into law. He has demonstrated willingness throughout his presidency to compromise on issues important to the federal workforce, most recently by signing the Veterans Affairs Department reforms that included firing provisions some of his own appointees found troublesome.